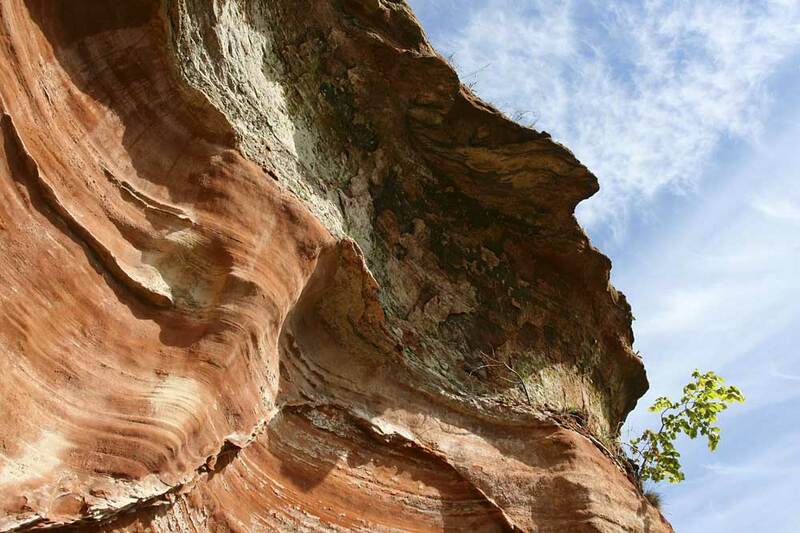 Cheshire’s backbone — the central Sandstone Ridge —is made up of 225 million year old Triassic sandstone. 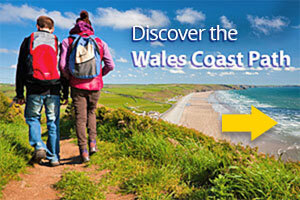 It’s the only high ground west of the Pennines and east of the Welsh hills. Like rocky vertebrae covered by a soft skin of trees, heather and gorse, the ridge’s interlocking scarps sweep in a series of green arcs from north to south down the County, dividing it almost in half. 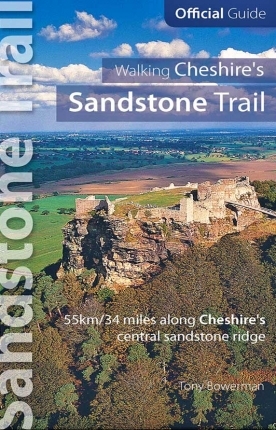 At the heart of this sandstone spine is isolated Beeston Crag, capped by the ruins of a medieval castle. Seen from afar, the crag’s prominence must surely have acted like a magnet to our ancient ancestors. Today, farmland and wooded hills stretch away on either side. Across the Beeston Gap, the ridge runs north along the low-lying Delamere Ridge, through Delamere Forest, and on towards Frodsham and the Mersey estuary. To the south, the tree-clad sandstone ridge undulates past Peckforton Castle and Bulkeley Hill towards Rawhead and the Iron Age hillfort at Maiden Castle. Beyond that, on the Cheshire Plain, a vast ridge of gravel and sand deposited by the icesheet during the last Ice Age stretches south towards Whitchurch and the Trail’s end. The mid-Cheshire ridge and its outliers are formed of layer upon layer of Triassic sandstones and pebble beds. These sedimentary rocks were laid down in semi-arid desert conditions, interspersed with occasional flash floods between 225 and 195 million years ago. Dramatic sandstone cliffs and caves crop up all along the Trail. Today walkers can play their fingers over layers of rock formed over countless thousands of years by alternating wind-blown sand, rivers and floods. These layers of sand and sediment were then consolidated over yet more millions of years by compression and mineral cementation. Minerals in solution were deposited around sand grains in the porous sandstone. Of these, the most common mineral was iron oxide (otherwise known as rust!). The minerals help cement the sand grains together. And the iron oxide gives the sandstone its striking, rich red and brown colouration. 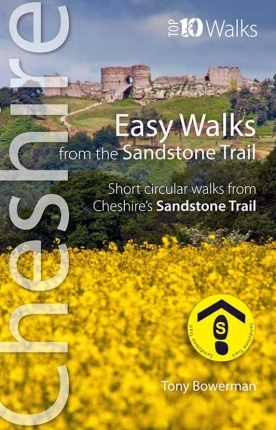 Around the same time that the rock was being formed, evaporation of a warm, shallow sea or lagoon created the extensive underground salt deposits that lie beneath central Cheshire. Natural brine springs here have been exploited since at least the Iron Age. Dissolving salt beds beneath the southern end of the Trail also caused the spectacular 18th century collapse at Barhill Fall, on the modern Trail, near Tushingham. Upheavals in the Earth’s crust later vertically fractured or ‘faulted’ the horizontal sedimentary sandstones, which were then pushed upwards and tilted to create the modern ridge. Of course, these slow processes happened over unimaginable spans of time. Today, the rock strata dip at a gentle angle of up to twelve degrees towards the east, with the contrasting crags of the steeper scarp slopes facing west across the broad Dee valley to the hazy outlines of the Clwydian hills. More recently in geological terms, some time between 65 million and 1.6 million years ago, copper and other metals in solution were deposited from groundwater percolating along faults in the sandstone. 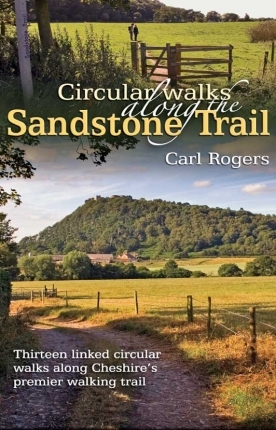 Copper, in particular, was later mined from the sandstone hills both on Alderley Edge in east Cheshire and close to Bickerton on the Sandstone Trail. These uplifted rocks were gradually eroded over the millennia, leaving the harder strata of the mid-Cheshire ridge protruding above the Plain. Then came the Ice Ages: a series of glaciations interspersed with warmer periods. During the most recent Ice Age, between 75,000 and 10,000 years ago, a vast ice sheet pushed in from the Irish Sea basin, depressing the surface of the earth and tearing away rock from the front of Helsby and Frodsham hills. The exact depth of the ice sheet can only be guessed at but it certainly overrode the mid-Cheshire ridge. In its stately progress down from the north and northwest, the ice sheet carried debris and rocks from southwest Scotland, northeast Ireland and the Lake District. At its maximum extent, the ice stretched just south of the modern Cheshire border, towards Wolverhampton, in the Midlands. But when the climate eventually started to warm up towards the end of the Ice Age, between 20,000 and 10,000 years ago, the ice front gradually ‘retreated’. As the ice receded, it dropped a thick layer of boulder clay or glacial till across much of Cheshire. The limey clays represent shell-rich deposits dredged from what had once been the floor of the Irish Sea. Only the mid-Cheshire ridge remained largely uncovered by glacial till – leaving exposed the older, distinctive Triassic sandstone rocks that we see today. The ancient ice sheet also scattered ‘foreign’ boulders and pebbles across Cheshire. Known as glacial erratics, these typically granite or volcanic rocks are readily distinguished from the local red sandstone. Look for large, greyish, ice-rounded boulders built into walls or cleared to field edges along the Trail. Some display long, parallel scratches made by debris held in the ice. You can also pick up fifteen or so different kinds of smooth, ice-worn glacial pebbles, dropped by the ice sheet, from paths and tracks along the Trail. There’s a wealth of other interesting late-glacial and post-glacial features to look out for along the Trail, too. At Urchin’s Kitchen and the delightfully named Dog Fall, near Willington, walkers can enter deep glacial drainage channels scoured out under immense pressure beneath the ice sheet. Near Utkinton the Trail skirts a whaleback-shaped hill of sand deposited by the ice, called a drumlin. Between Duckington – at the southern end of the sandstone ridge – and Whitchurch, the Trail runs along the top of a vast bank of sand and rock, or terminal moraines.